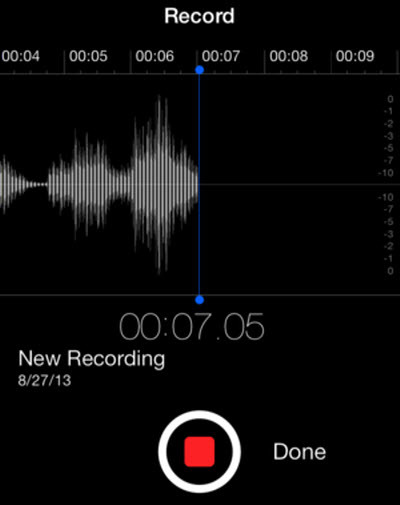 Nowadays, other than taking notes, there is another way to record something quickly and conveniently, the Voice Memo. You can use the Voice Memo to record funny sounds, feelings about something that you are not convenient to take it down, baby’s laughers and fantastic chirping etc. As audio files, the Voice Memos take up a lot storage space and you don’t need to keep them on your iPhone all the time. My advice is to get off the Voice Memos from your iPhone or iPad and transfer to your computer for record keeping. There are a couple of different ways to do so. Step 1: Plugin your iPhone or iPad (Here in this post I am going to demonstrate with an iPad) to your computer and then open iTunes. 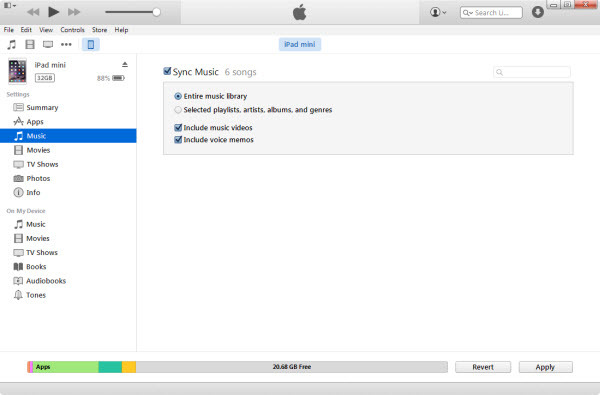 Step 4: Check the "Sync voice memos" box, if it's not already checked. 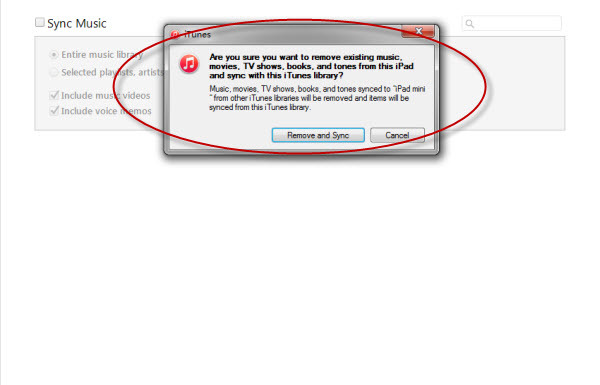 As you can see from the screenshot when you choose to check “Sync Music”, there will be a popup asking you to make sure whether you are sure to remove all the existing music, movies and tones etc from your iPad which means that if you choose to sync your voice memos to computer from iTunes, there would be risk of losing existing files on your iPad. Fortunately, there is another way to transfer your Voice Memos from your iPhone or iPad to your computer. As specialized iOS data recovery software, iFonebox is able to selectively export certain type data such as contacts, notes, messages, reminders and voice memos etc from iPhone, iPad and iPod Touch. Besides, iFonebox is available for both Windows and Mac. Please choose the right version according to what kind of computer you are using. Step 1: Plug in your iPhone or iPad to your computer and then install and run the full version of iFonebox. Click the bottom button of “Start” once your iPhone or iPad is recognized. Step 2: Click the icon of Voice Memo to choose voice memos to export on the interface where all the supported data types are listed. 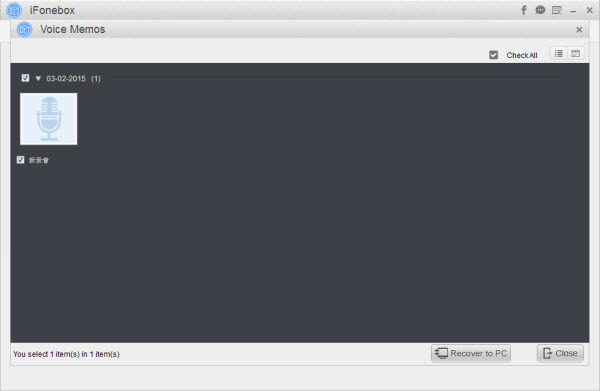 Step 3: Preview all the exported voice memos before transferring to computer. You can choose whatever you want to transfer to your computer rather than recovering all the voice memos to computers.